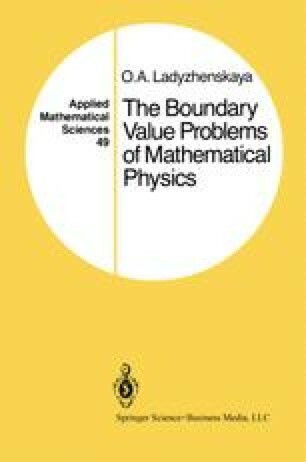 In this chapter we shall consider second-order parabolic equations and prove the unique solvability of the initial-boundary value problem in the domains Q T =, (x, t): x ∈ Ω,t ∈ (0, T) for the first, second, and third boundary conditions. We shall assume that the domain Ω is bounded, although all the results, except for the representation of solutions by Fourier series, will be valid for an arbitrary unbounded domain Ω. Moreover, the methods of solution given for bounded Ω are applicable to unbounded Ω (in particular, for Ω = R n ),but need minor modification which we shall point out.